Recycle empty Febreze aerosol containers through this program. 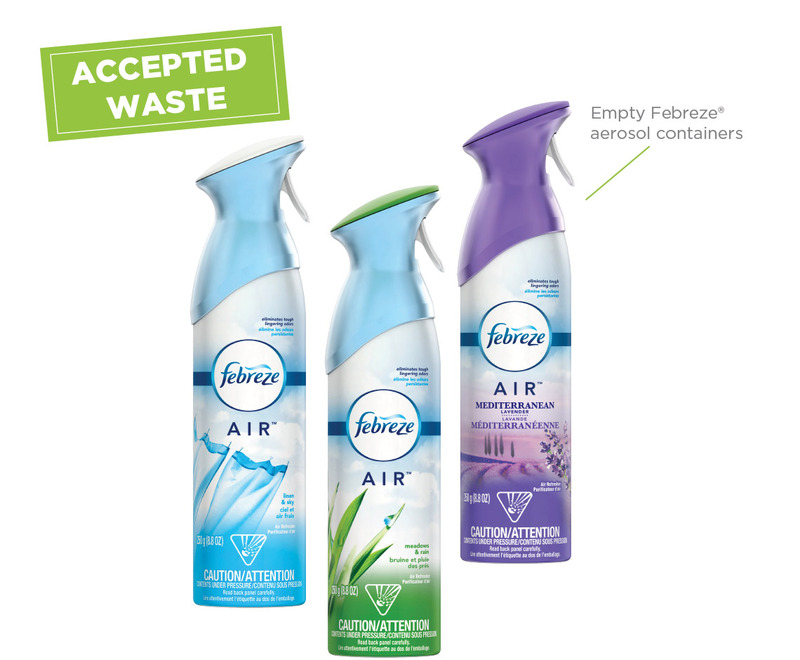 TerraCycle and Febreze have partnered to create a free recycling program for empty Febreze aerosol containers. Recycling aerosol containers require special handling. Please take them to a recycling center that is equipped to handle aerosol containers. Click the map above for a list of recycling centers that accept aerosol containers. If you cannot bring your containers to a designated location, you may request a shipping kit by joining this program and following the instructions below. Participating is completely free, but all participants must adhere to strict shipping requirements for this particular program. Aerosols must be shipped through the Aerosol Recycling Program; labels from other TerraCycle programs must not be used to ship this waste stream. TerraCycle will provide aerosol shipping kit, which includes aerosol shipping box and return shipping label affixed to the box. Aerosol shipping kit must be requested through TerraCycle account. TerraCycle will send aerosol shipping kit to the address on the TerraCycle account. Please ensure this is the correct address. Aerosol shipping kit will be delivered within 2-3 weeks. Aerosol shipping box must be completely filled with twelve aerosol containers; do not include other waste streams. Aerosol containers must be completely empty prior to shipping. Program accepted waste: empty Febreze aerosol containers. Note: If you'd like to recycle other air care products that do not contain aerosols, please visit the Air Care and Home Care Recycling Program page by clicking the button below. 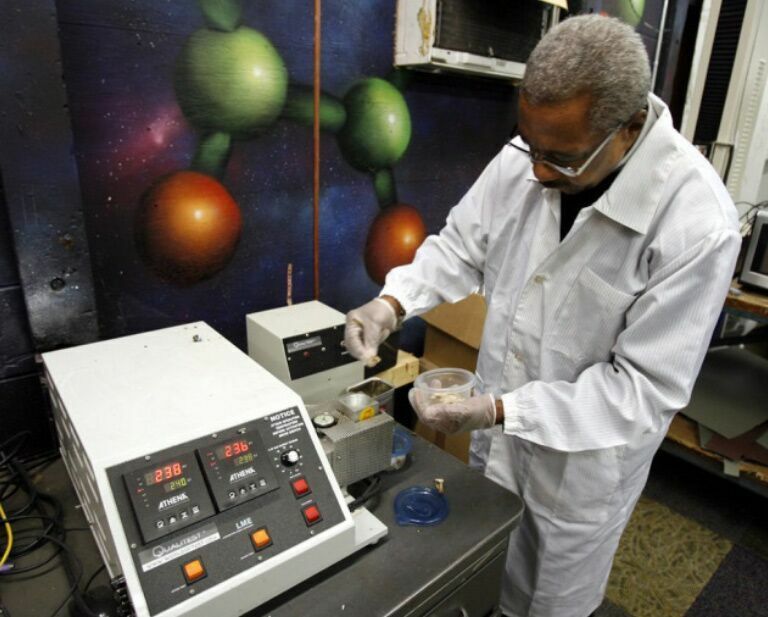 In order to participate in this program, you must adhere to the shipping instructions provided on this page and in the guide found under the "Resources" section below. Once collected, the aerosol containers are safely punctured and any residual gases and liquids are removed. The containers are then broken down into plastic and metal components. Plastics are cleaned and melted into new plastics, and metals are smelted into ingots for reuse. 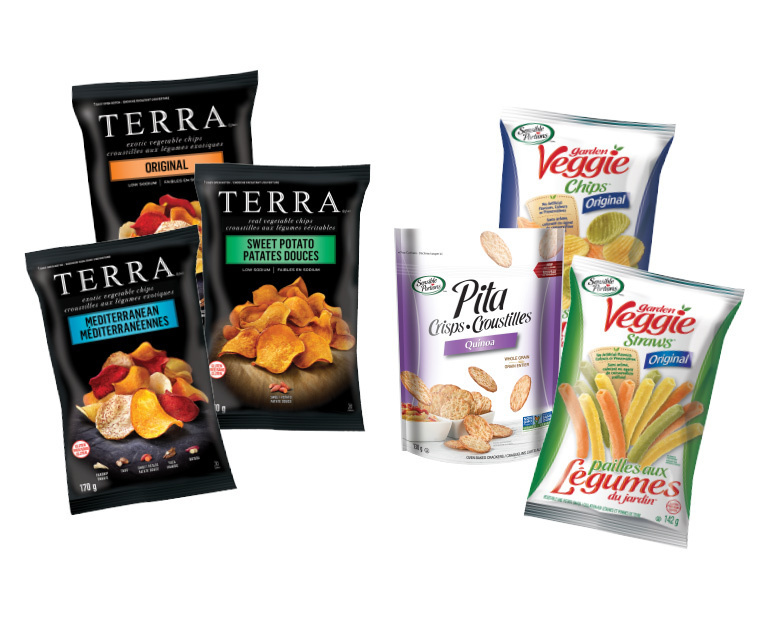 Febreze believes in actions speaking louder than words, which is why they consistently deliver products and programs that demonstrate progress on environmental and social sustainability. 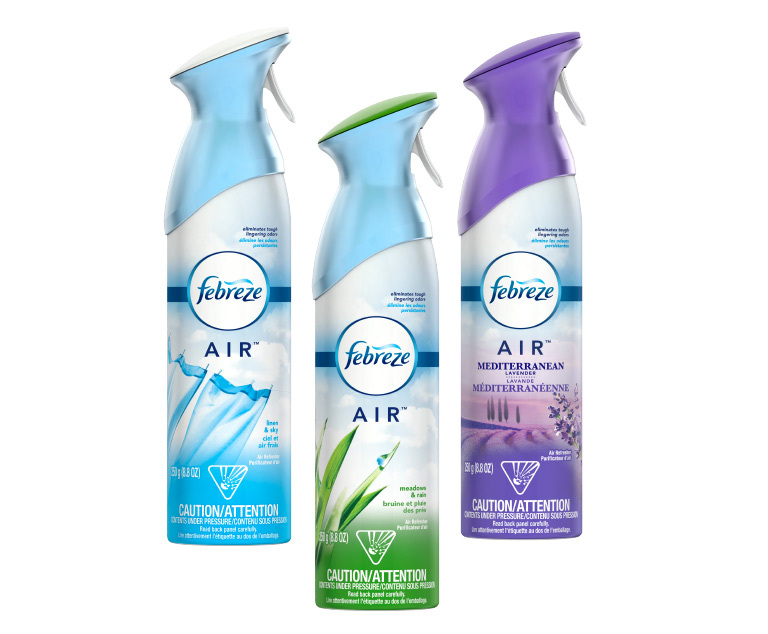 Febreze is working to Leave Nothing But Fresh Air Behind. 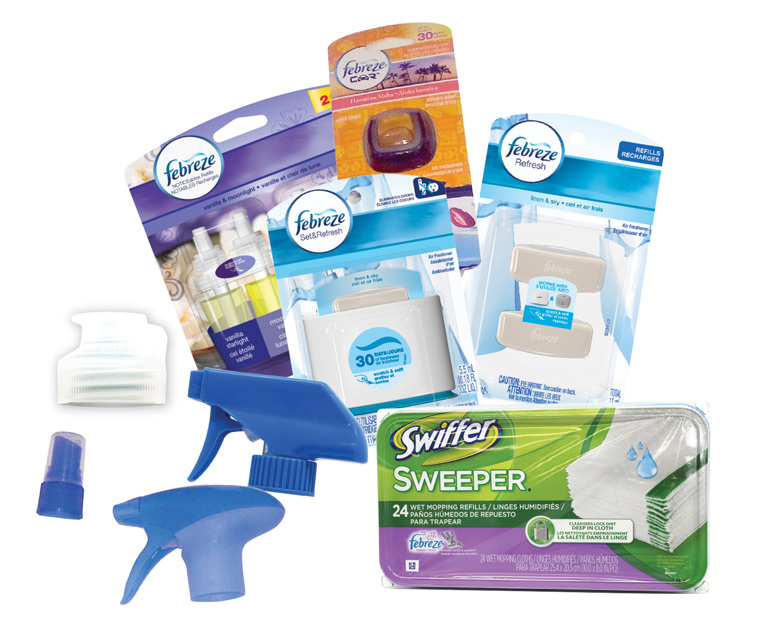 Click here to learn more about Febreze.